Ghana winger, Christian Atsu has expressed his gratitude after clinching the Cyrille Regis Players Award. The award is specially designed by Footie Black List to highlight and celebrate Black Players around the globe who are role models in the football industry. 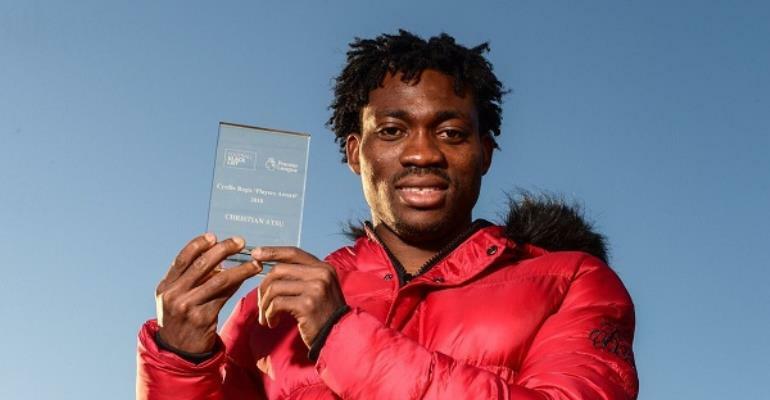 The Newcastle United ace after clinching the award posted on his Instagram page and thanked everyone who has been supporting his project to get this recognition. Atsu has a special project dubbed “Arms Around The Child,” in which he goes to orphanages and schools to donate items. Last year, various orphanages and basic schools in the Central Region of Ghana benefited from this scheme by Christian Atsu. Atsu is currently on a national assignment as the Black Stars prepare to play Kenya on Saturday in their final AFCON qualifier.